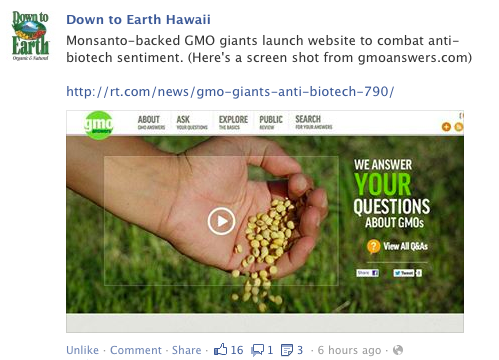 Put Up a Pro GMO Page & They Will Come! 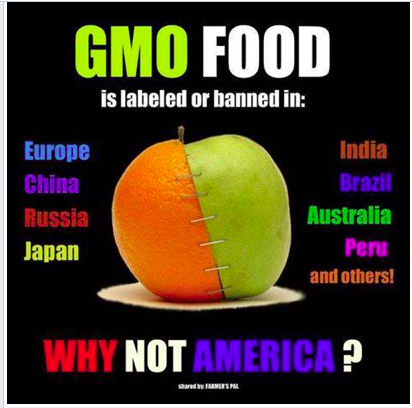 If you ever are curious about who is an A’ole and the level of their intelligence, just set up a pro GMO page on Facebook. 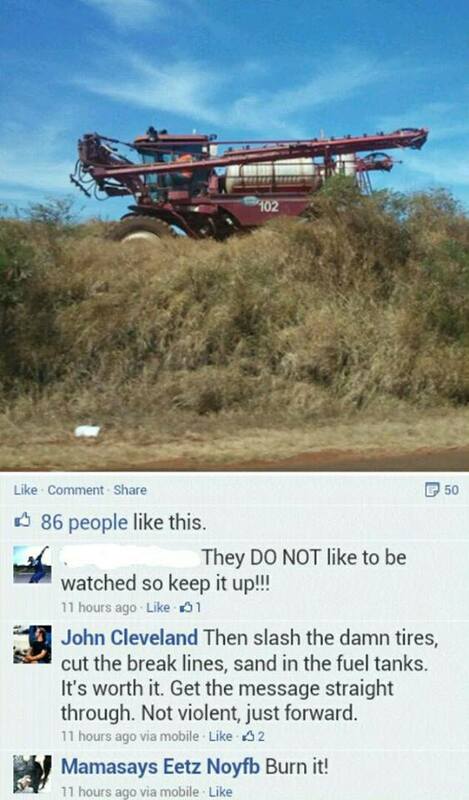 If an A’ole ever gets a hold of it, you’ll get a flood of comments that are either mean or nasty or so ignorant that it’s amazing they don’t even realize how uninformed they are. 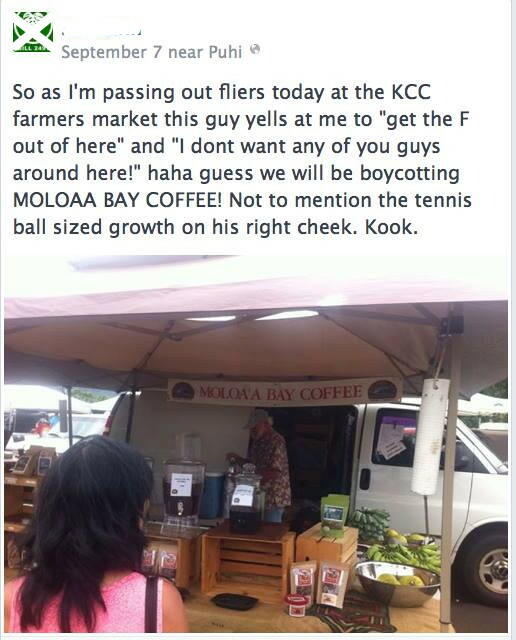 That is the A’ole way of doing things in Hawaii. Then there is Frank Garcia and his lovely tirade. Then there is Taylor Kaneaiakala and his perfect example of aloha. 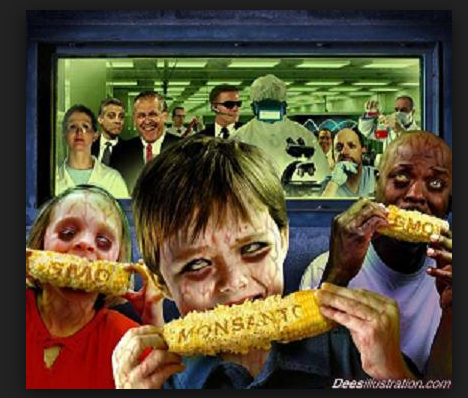 Next there is Eric Kent Hagy and his take on biotech as well as his evidence, Genetic Roulette. You know how you learn as a kid that if you can’t say anything nice, don’t say anything at all. Well, Keliihananui Crabbe has apparently forgotten to bite one’s tongue. 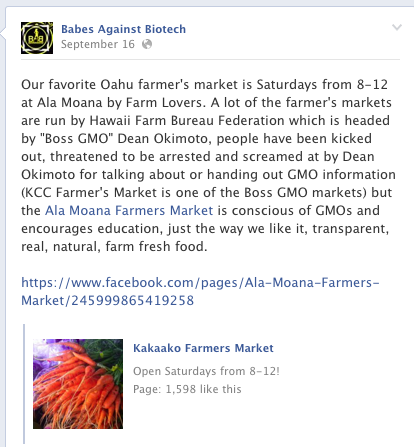 This entry was posted in No Aloha Commentary and tagged Bill 2491, Eric Kent Hagy, Facebook, Frank Garcia, Gary Hooser, Genetically modified food, Genetically modified organism, Hawaii, Japan, Jessica Mitchell, Kauai, Keliihananui Crabbe, Taylor Kaneaiakala, Tim Bynum, United States on November 16, 2013 by hawaiifarmersdaughter. 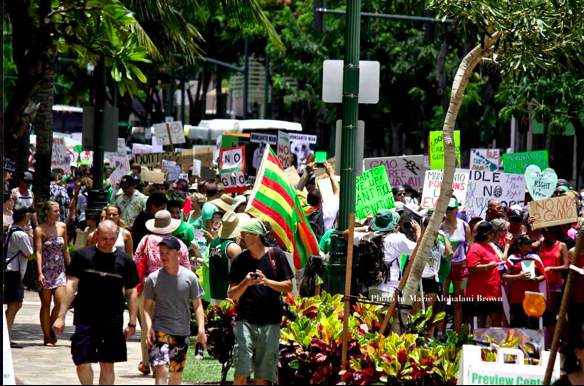 Hooser and Bynum’s Land of No Aloha Activists! 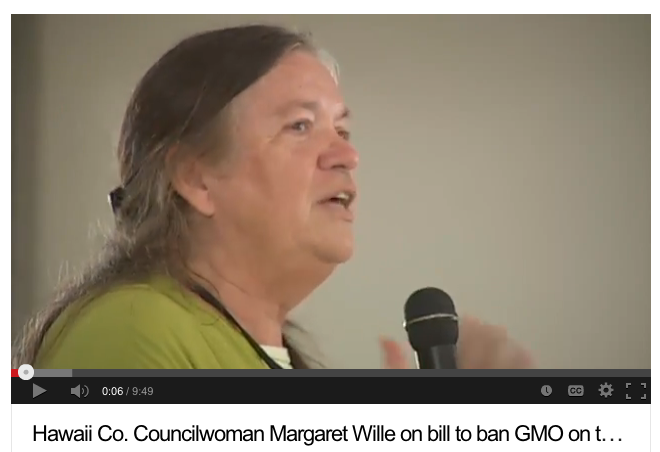 So it has been big news that the anti-GMO Bill 2491 was vetoed by Mayor Carvalho just a few days ago. Did you ever think that it would be peaceful, calm, and quiet? 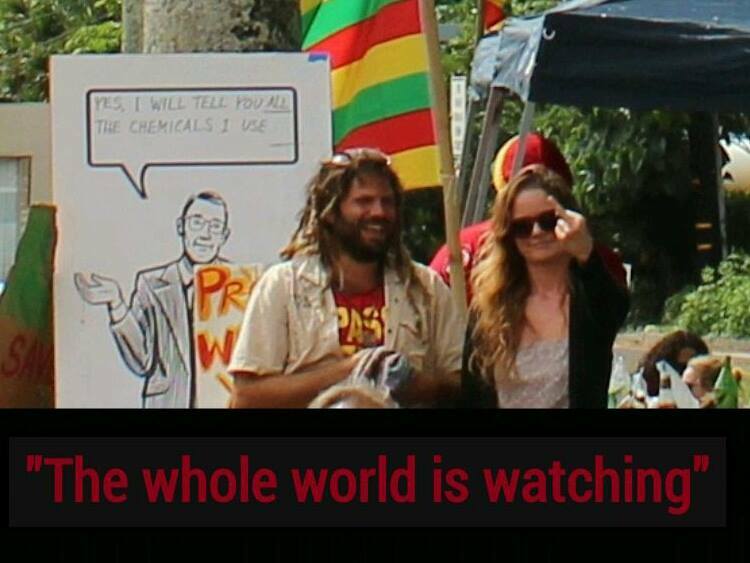 Meet the activists of Kauai and see how they treat their leaders. 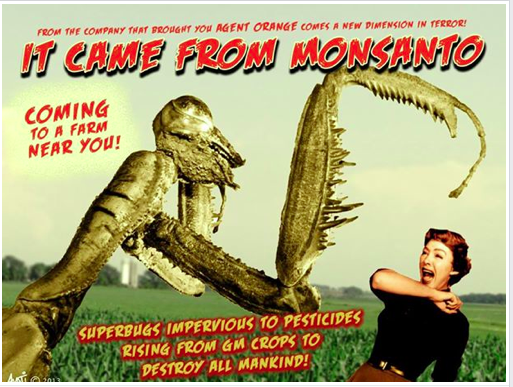 It is not a surprise that the same activists who disrespect farmers, graffiti roadways, threaten to destroy crops and equipment, and put nasty commentaries all over the social media have shown their true colors once again for all to see. They can’t see that there are flaws in the bill that would cause significant headaches for the county to deal with based on existing statutes already in place. 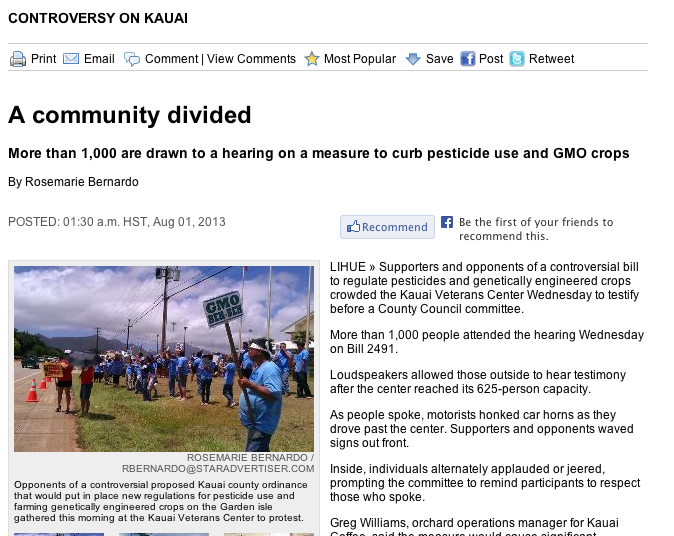 One of them being the Hawaii Right to Farm Act. 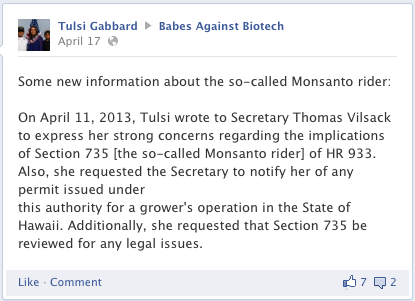 Just read the commentary coming out from the Babes Against Biotech leader, Nomi Carmona. 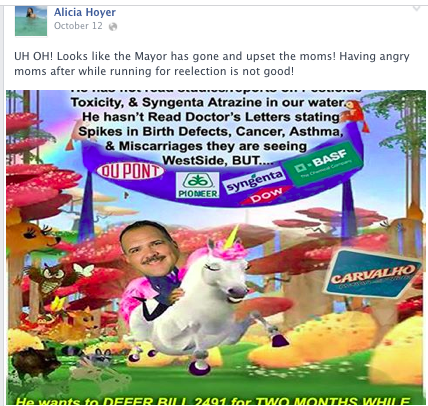 Then go to her Babes Against Biotech page and you’ll find many more lovely comments about the Mayor’s decision to veto the flawed law. 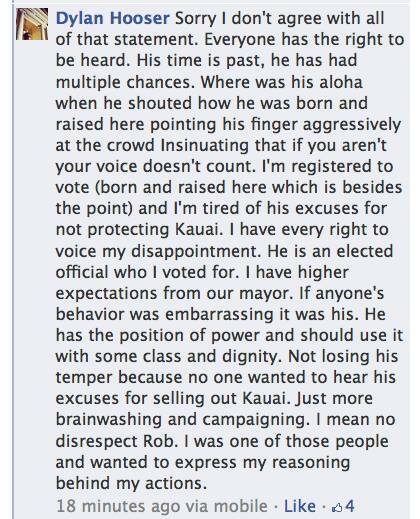 Let’s call the Mayor lovely names by James Kealii Kam. 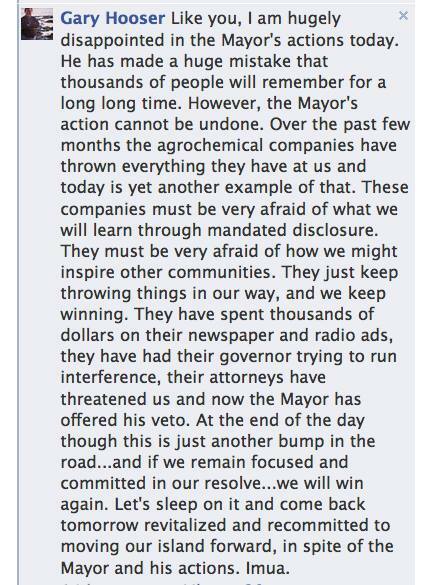 Then another one from Michael Huskey criticizing the Mayor. 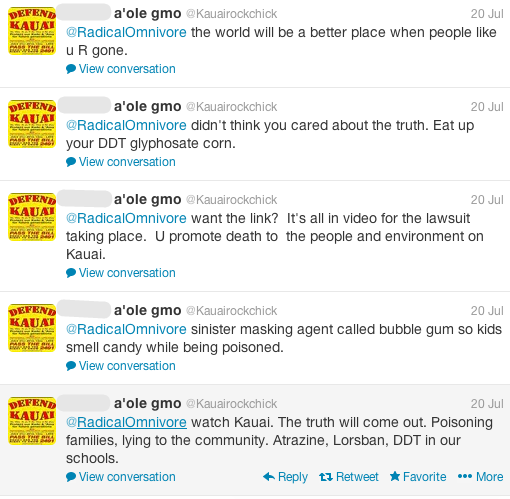 Then there is Jason Kalani who promotes the use of violence and threats to get their way. Don’t forget what Ricky Murray has to say about the Mayor. 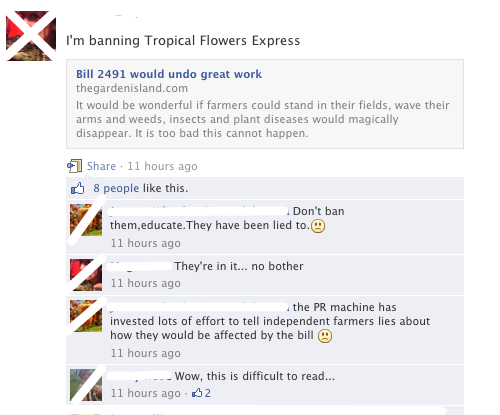 Here’s more lovingly written comments on the Hawaii News Now post about the veto by Kristin Steinkamp and Bigkine. 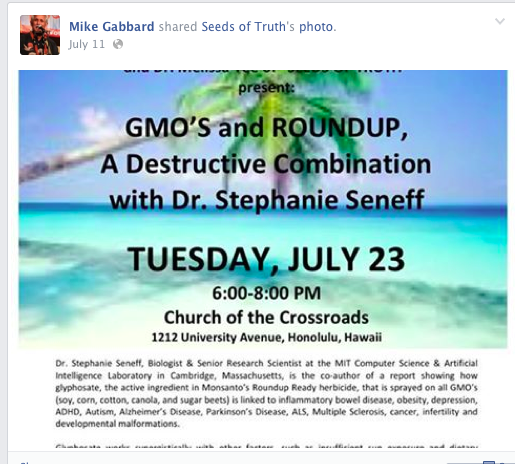 And let’s also not forget some new comments about GMO that came out right after the veto on the Hawaii GMO Justice Coalition page. And yet another one from Kurtis Kunesh. We can’t forget that the very person who insisted on passing this law (his initials are G.H.) 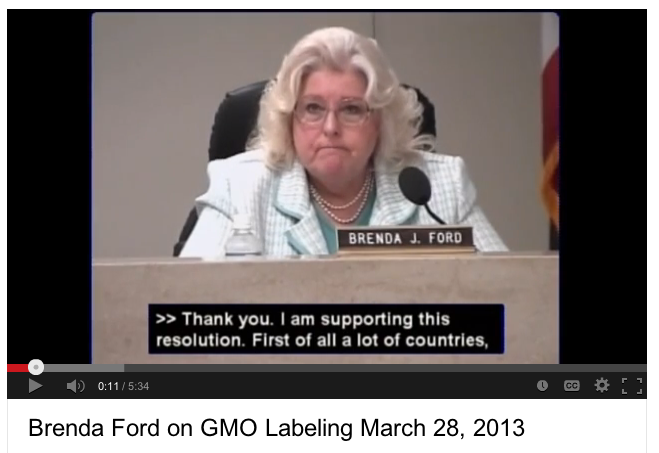 did not even consider preexisting statutes that would jeopardize it. 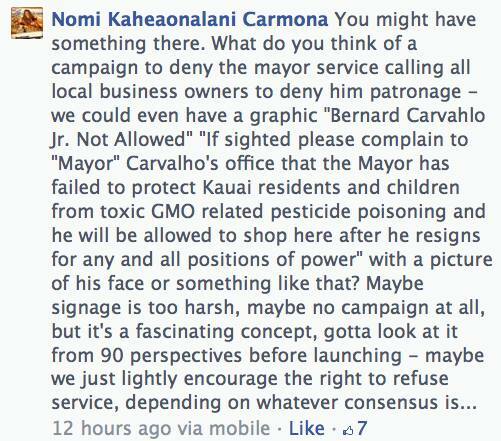 Didn’t he and the other County Council members take an oath of office, same as Mayor Carvalho? 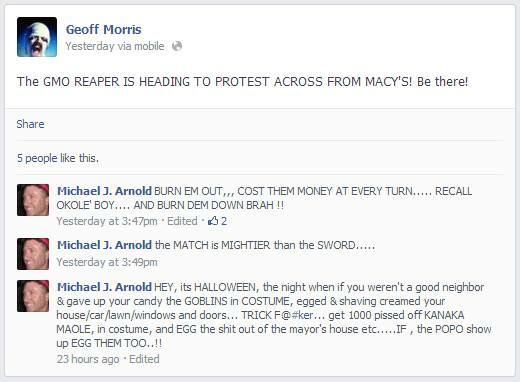 He continues to refuse to acknowledge that this hate is being spewed by the very activists he supports. Its like it doesn’t exist in his eyes. He just continually incites the A’oles with the same information not even bothering to actually state the facts to them about the existing statutes and legal issues. 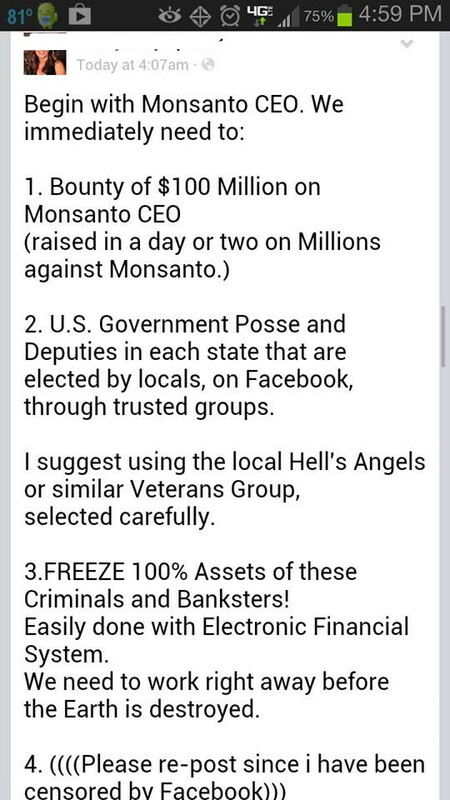 Could this be a way of keeping people in the dark, just like the tactics of Babes Against Biotech and Hawaii GMO Justice Coalition? His son unfortunately is no different in that he didn’t even bother to read the attorney general’s opinion on the law or even consider the fact that it was flawed to begin with. 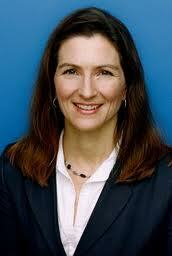 Which politician is adhering to their oath of office to uphold the laws of the state, federal, and county? It’s the mayor. But these folks are now ticked off and don’t care how they express it. 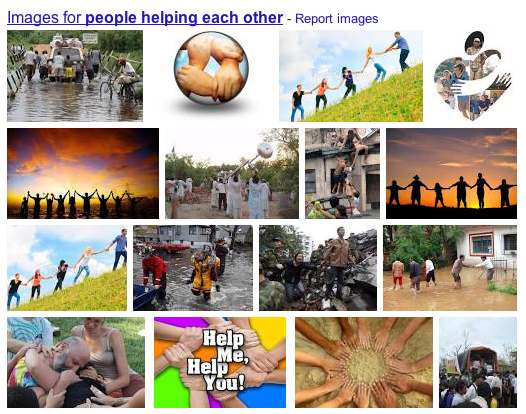 Many activists feel that it is their “right” to act the way they want because they are unhappy. 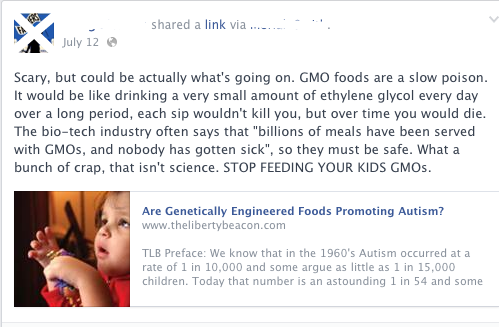 But do they indeed have the evidence and data to support what they are saying? No, never, and all that is evident are hateful comments like these, with no basis in truth or fact. 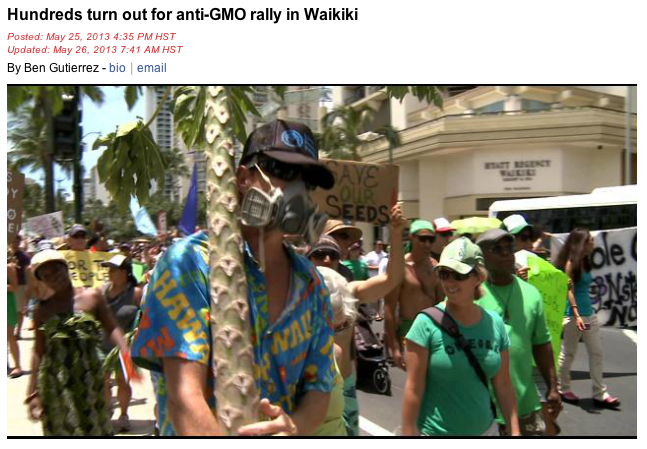 These are indeed the faces of the anti-GMO movement here in Kauai but many news articles state otherwise that they do not represent the movement. Are you kidding? Look in the mirror and see if you’d like others to remember you that way, captured on the social media forever. Is there room for yelling, threats of riots and violence in law making? 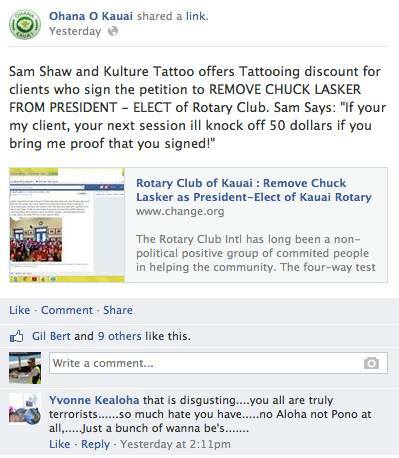 Of course, I’d probably get a comment here saying once again that there is no aloha on my point of view. Really? Everything is justified and it doesn’t matter how its done? Remember, that if you are posting threats, say rotten stuff, calling that there is no aloha, stop posting and doing stuff that is reflective of that. 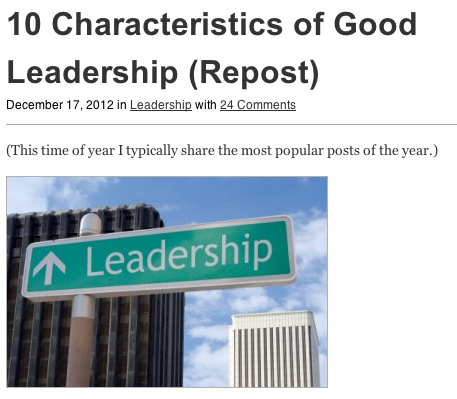 Then there would be nothing to write about on this blog. It is hopeful, but not likely at this point. 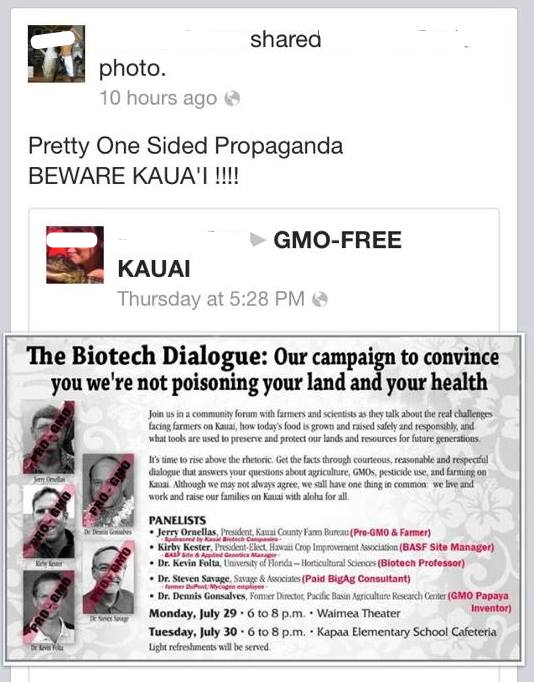 This entry was posted in No Aloha Commentary, The No Aloha Club and tagged Activism, anti-GMO, Babes Against Biotech, Bill 2491, biotechnology, Genetically modified organism, GMO, GMO Free Kauai, Hawaii, Hawaii GMO Justice Coalition, Hawaii SEED, Hooser, Kauai, Mayor, Mayor Carvalho, Veto on November 2, 2013 by hawaiifarmersdaughter. 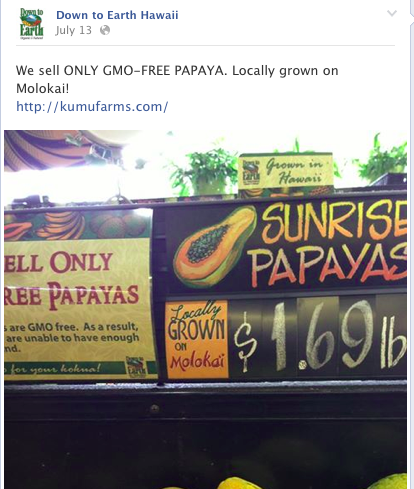 No Aloha GMO Free Kauai: Go Use the Nazis! 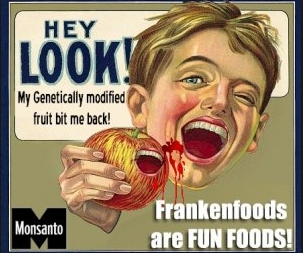 Just when you thought that the whole pesticides and GMO issue was dying down a bit, something pops up that garners attention. 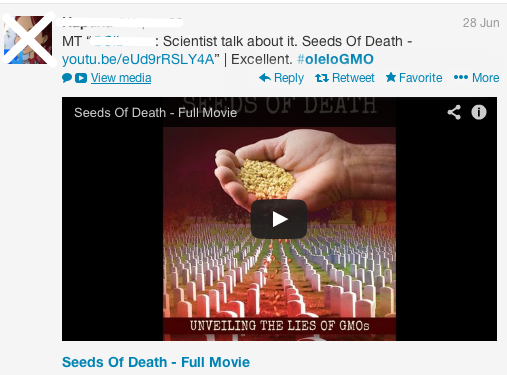 The A’oles have made a movie portraying the scientists, bloggers, and others who speak up for biotech as being aligned with this well known person in history. Unbelievable but not surprising. 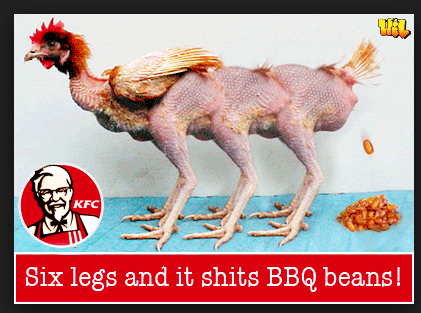 Does this really strengthen their cause? Apparently, some people think so. Same goes for all the hate comments they put all over the place, including graffiti on highways. But then again, who is surprised at this kind of tactic? This is great. These are the same people who want laws made on their behalf, extremists and activists, who really should be marginalized for promoting this type of false accusations with no evidence, shameful, hateful fear mongering message only designed to divide and increase conflict, not bring together a community. There is a lot of evidence already similar to tactics used in this video that shows who really doesn’t have any aloha. 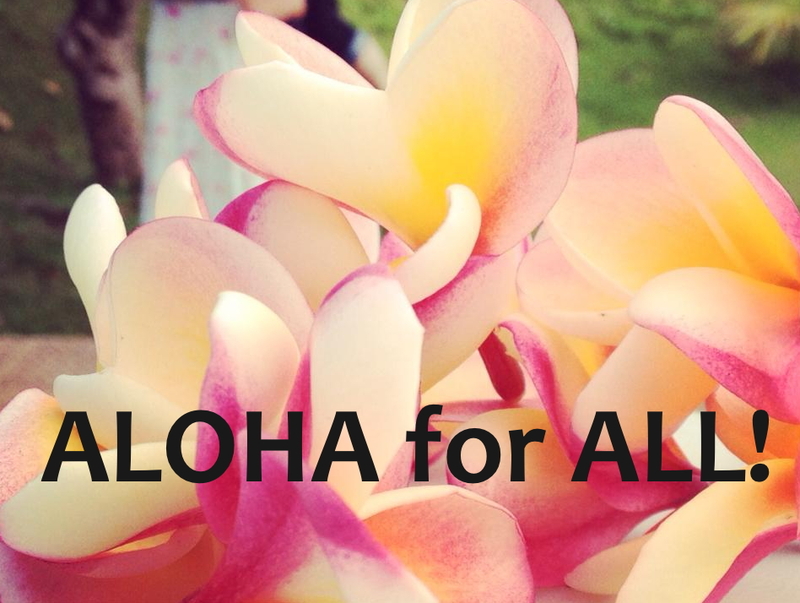 If A’oles want to cry out that they are being the target of no aloha, then they should stop posting this vitriolic and poisonous stuff for all to see. Remember, you posted it, we find it and it gets exposed. Be accountable for what you say and do. Pretty easy. Maybe. 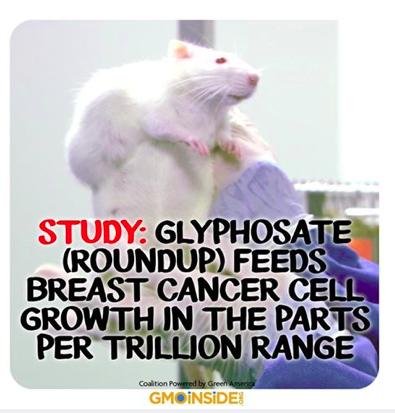 This entry was posted in Uncategorized and tagged Agriculture, Bill 2491, Facebook, Genetically modified organism, GMO, Hawaii, Monsanto, Social media on October 30, 2013 by hawaiifarmersdaughter.